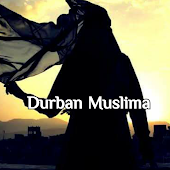 Durban Muslima: Who is a Dayooth? Daiyooth is the man who doesn’t have jealousy on his Maharaim (his mother, sister, wife …). He is the man who would SHOW OFF his wife (or any of his mahram female), her beauty and her style in front of men. He is the one who doesn’t protect her from the eager eyes of strangers (non Mahram). He is the one who accepts that his wife go out with him wearing perfume, putting make up and wearing attractive clothes as if she is an item for sale to others. He is the man who is pleased by the admiring glances from stranger men toward his wife. He would let his sister/his daughter go out with tight clothes, without her Hijab. He is the man who knows that his sister/his daughter has a boyfriend but he doesn’t care. He never has Jealousy on her and would let her show her charm to any one. We ask Allah to show us the truth and help us to follow it, and to show us falsehood and help us to avoid it.